Manchester United have made a £40m bid for Napoli left-back Faouzi Ghoulam in the last couple of hours according to reports coming from Italy. Claims that United had made a bid for the Algerian star were made on Radio Kiss Kiss Naples according to a report from Calcio Mercato. 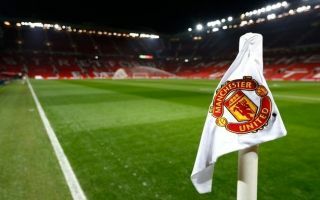 It is now understood that United’s move for the left-back have been rebuffed by Napoli, with the Italian giants keen to hold on to one of their most important players. 27-year-old Ghoulam would certainly bolster the defensive ranks at United. The Red Devils have a shocking defensive record this season, Jose Mourinho’s men have conceded the fourth most goals in the Premier League so far this season. To rub salt into the wound, the only sides to have conceded more than United are relegation candidates Huddersfield, Cardiff City and Fulham. United will certainly need to make a splash in the January transfer window after a disastrous start to the season. United lie in 8th place in the Premier League, 7 points adrift of Manchester City, Liverpool and Chelsea. Jose Mourinho’s men are far from where fans expected them to be. Coming into the new campaign fans were hopeful that the club were ready to challenge for the title – these projections couldn’t be any further from the truth right now.